Hear the HÜM as you’ve never experienced it before. Give yourself, body, mind, and spirit, to its transcendent, universal tones and vibrations. 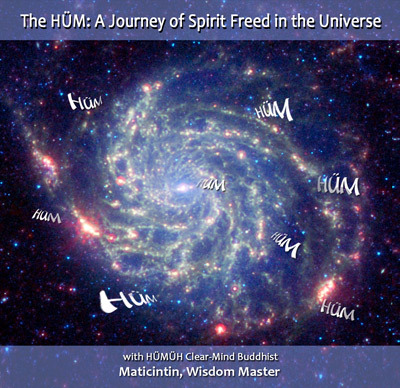 Join with the Voice of Wisdom Master Maticintin in this remarkable new expression of the ancient and powerful HÜM Chant, which she has created anew as, “A Journey of Spirit to the Opening of the Third Eye.” Rediscover, or taste for the first time, the Light and limitless freedom of our interconnection with all life in the singing, ever-expanding Heart of the Whole. Please note that we ship merchandise on Mondays only. Shipping cost will be calculated on the shopping cart page. For orders outside of U.S.A. and Canada, please contact the HÜMÜH office at office@HUMUH.org or call 1-800-336-6015 to place your order so that we can apply appropriate shipping cost.